At M.D. 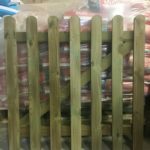 Hanafin & Sons Ltd; our Dallam Timber sales yard draws trade and retail customers in search of the finest quality and value timber and fencing products. 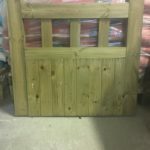 At Dallam Timber Supplies, we have an impressive range of stock including fixings, fixing systems, timber decking, garden ranges, garden panels, sawn timber, timber courtyard gates, entrance gates, arches, concrete products, round timber, fencing wire, garden fencing, posts etc. 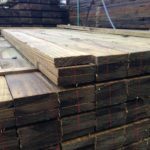 There is plenty of knowledgeable advice on hand here and whilst we don’t adopt ‘high pressure’ sales techniques, we do provide on-site, ‘pressure treatment services’ to ensure maximum durability for all the timber we produce! Our quality products and affordable prices ensure customer satisfaction every time and these elements come with our professional advice relating to all aspects of installation. For orders outside of this postcode area you can collect from our timber yard or call us on 01539 563348 for specific delivery prices. We aim to deliver all website orders within 2-3 working days of receiving your order. We have a well established reputation for the use of high quality materials & the professional installation of all types of fencing. 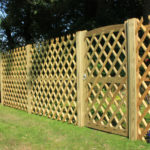 We have years of experience & can help you with all your fencing & timber requirements. Copyright © 2019 M D Hanafin & Sons Ltd. All rights reserved. Dallam Timber Yard, Sandside Road, Milnthorpe, Cumbria, LA7 7HH.